I'm proud of the men and woman, both at home and abroad who endeavor to embrace and defend her ideals. I'm ashamed and saddened by the increasing number of people who have forgotten, or were never taught, what she stands for. Do you remember? Do your kids know? Here are a few resources to help us remember. How about the Bill of Rights? 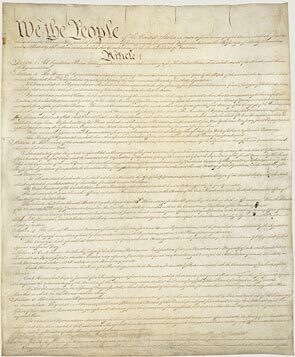 Interested in what the men who inspired these documents believed about freedom? about life, liberty and the pursuit of happiness? 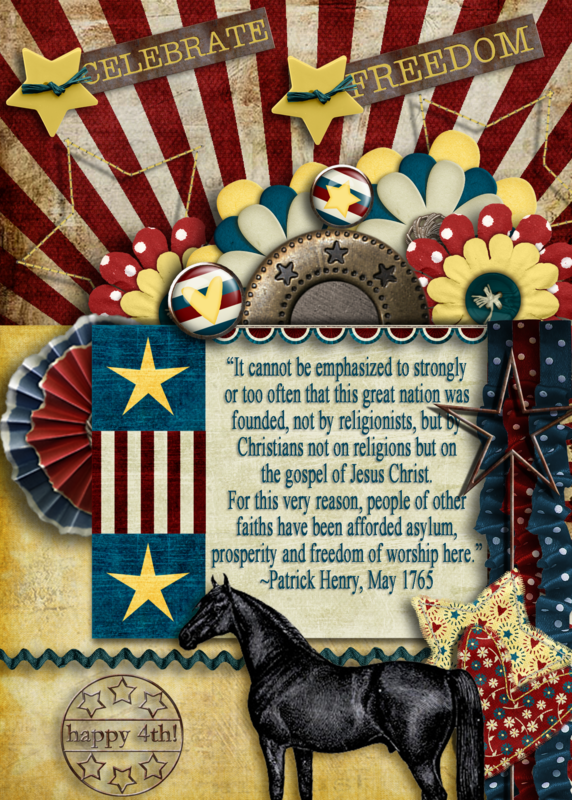 This great site is where I found this quote from Patrick Henry. What's a birthday without presents? Click on the image above, then right click to save for yourself! Designed using Old Glory kit from Trixie Scraps, vintage horse graphics from The Graphics Fairy, and textures from Kim Klassen Cafe.